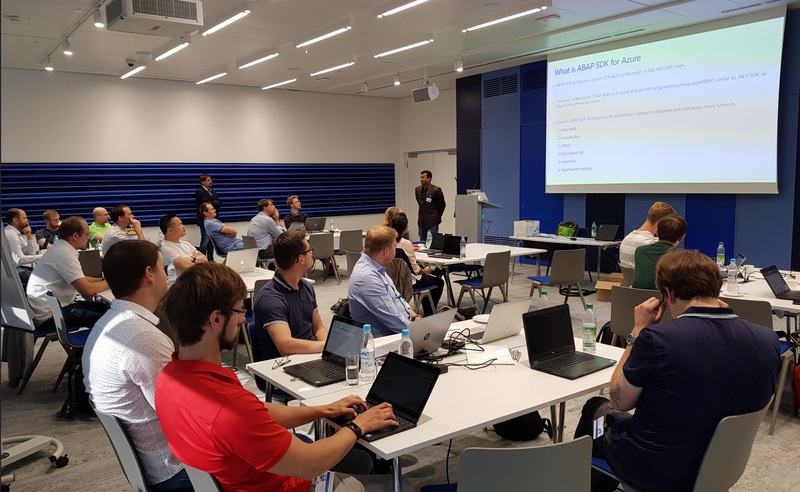 Last week we ran our very first hackathon for the ABAP SDK for Azure in Munich. Since we had released and talked about it a few weeks back we had received a lot of feedback from the SAP community. We got lots of compliments, but also requests for additional features. 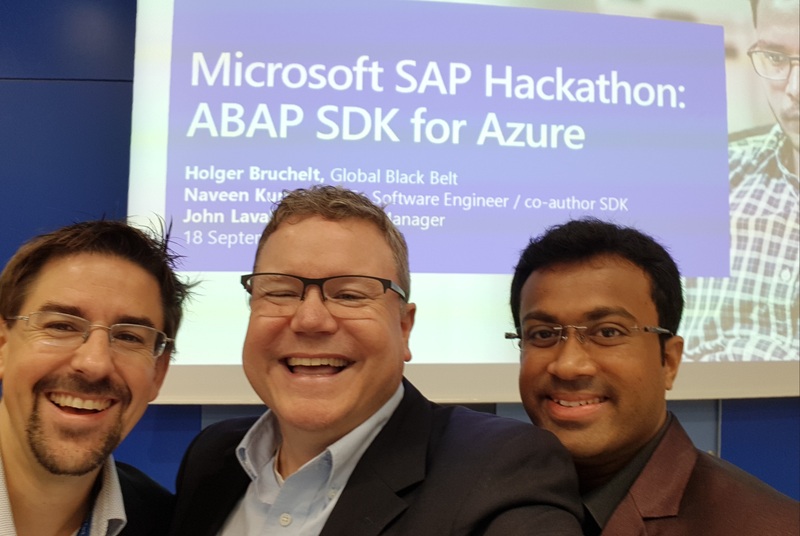 The ABAP SDK for Azure is now hosted on GitHub so the idea and motivation is obviously to engage with the community and look also forward to outside contribution, but that does not mean that we are stopping our investments. On the contrary — since we are using the ABAP SDK for Azure actively at Microsoft we are constantly adding new features. However, we also wanted to hear the feedback from customers and partners so we planned our first hackathon. Together with my colleagues Naveen Kurmadas and John Lavellee we planned and hosted the event — after some debate on the location — in Munich. I was especially happy to have Naveen, one of the developers from India, with us. Both Naveen and I are former SAP and we see a great value of combining SAP technology with Azure. Everything worked pretty well and we had several participants who did much more and integrated in Slack, used Azure Functions or used Text to Speech to broadcast the information from the SAP system via speakers. The common feedback after the hackathon was to have a follow-up where we would dig deeper! We are certainly looking into that. While we are working on that, I would like you to head over to http://aka.ms/sap/AbapSdkTutorial and give it a try! If you have any questions or feedback, please let me know! It was a really great event and a pleasure to attend. Thank you, Christian. It was great having you there! Can you please share the road map for this SDK? What are the other Azure services planned to be integrated? we do not have a clear road map right now. Since this is a Microsoft – IT project (and not an official product) the road map is very much driven by our own requirements at Microsoft. However, we are already working with a few SAP Mentors on new ideas. If you have anything on your mind, please let us know! Are you planning to implement SDK for Azure Information Protection (and more specifically to Azure Rights Management)? I think there might be interesting use cases for it. But I will also discuss this with our team.